Entering the 2018 season, there seems to be an abundance of quarterbacks that can be/will be fantasy relevant. That being said, it may not be to your advantage to spend an early round pick on a guy like Tom Brady, Aaron Rodgers or Russell Wilson. The fact is, if you want to get one of the top 4 or 5 signal callers on your fantasy team, you are going to pay up to get him foregoing a stud RB or WR in the process. At this time, according to 12 Team PPR ADP data on MFL, Aaron Rodgers will cost you a second round pick, Deshaun Watson and Russell Wilson will cost you a third and Carson Wentz will cost you a fourth. If you forego drafting Aaron Rodgers in the second round, you will be able to draft a player like Christian McCaffrey, AJ Green, Joe Mixon and Devonta Freeman, further solidifying your skill positions and you can lock up the QB position later in the draft with a guy like Drew Brees in the 7th. If you have a top 5 pick in the draft and you roll with Brees over Rodgers, you will be able to pair a guy like David Johnson with AJ Green or Joe Mixon and still have Drew Brees as your QB, where if you select Aaron Rodgers in the second round, you will be looking at players like Devin Funchess, Tarik Coen, Cooper Kupp or Will Fuller in the same spot you could have drafted Brees. Would you rather have the trio of David Johnson, AJ Green and Drew Brees or David Johnson, Devin Funchess and Aaron Rodgers? I will go with the Brees trio all day. Personally, I plan on waiting until there are 10 or 11 quarterbacks taken in 12 team leagues before I draft a quarterback, unless of course other people in the draft have a similar plan which results in top end guys getting pushed down the board. After about 10 other QB’s are taken, I will take the next best quarterback off the board and a backup shortly thereafter, just to solidify the position. I did four mock drafts and drafted a QB at a different round each time in order to experiment and see how the squads shook out. All four of these teams, regardless of when the QB was drafted, have at least one stud running back on them because I went running back in the first round of each of these drafts. My guy John Hansen “The Guru” is all in on Delanie Walker at tight end this year and I agree he’s poised for a huge year. I was able to get Walker on each team except for the squad with Aaron Rodgers. The team I feel the worst about is the team with Rodgers on it. The following analysis is of the draft where I took Rodgers in the 2nd round. After taking Rodgers in the 2nd, I felt like I needed to go running back with my 3rd round pick, even though I didn’t have a wide receiver yet, because if I didn’t take a running back there, the RB talent would fall off drastically. I was correct, because the best RB’s available for my selection in the 4th round were Derrick Henry, Rashaad Penny and Lamar Miller. I bypassed drafting guys like TY Hilton, Golden Tate and Amari Cooper in the 3rd because I felt like I needed to draft a running back, I felt handcuffed into that pick. In most drafts, I was able to get Delanie Walker in the 5th or 6th round. However, the squad with Aaron Rodgers on it has Kyle Rudolph as the tight end, drafted in the 7th round. Instead of drafting Walker in the 6th round of this draft, I took Tevin Coleman, the 1B running back for the Falcons that plays behind Devonta Freeman. I have no desire to roll Coleman out there as my flex each week and I normally avoid him in drafts, but at the time I was drafting, I was looking at guys like Marshawn Lynch, Marlon Mack, DeVante Parker and Devin Funchess. I really wasn’t excited about any of these guys, so I drafted a good, young, running back in a good offense, even though his workload won’t be consistent. Once again, I felt like I was in a tough spot with a pick based on need. I ended up with Kyle Rudolph as my tight end, and I am really not excited about that. I came away feeling all of my other teams are stacked. However, the team with Rodgers on it has a few guys on it that I am simply not high on, like Coleman and Rudolph. I felt like I needed to reach a little bit and take guys in spots I didn’t want to take them because depth at certain positions was going to fly off the board. I could have drafted Adam Thielen or Devonta Freeman with my 2nd round pick instead of Aaron Rodgers, and if I had done that, I could have drafted Russell Wilson in the 5th round instead of Marvin Jones or a guy like Jimmy G or Jared Goff in the 7th round instead of Kyle Rudolph. So really, if I didn’t take Rodgers in the 2nd round, my squad could have been: Jared Goff, Adam Thielen, JuJu Smith Schuster, Zeke Elliott, Joe Mixon, Kyle Rudolph, Marvin Jones. Strength of Schedule. In 2017, only a handfull of teams truly limited fantasy production to opposing quarterbacks. The Jacksonville Jaguars gave up the fewest fantasy points to QB’s on the season, and the Ravens, Vikings, Charges, Bills, Rams, Bears and Seahawks were also quite formidable, rounding out the top 8 defenses against fantasy QB’s (top 25th percentile). The Seahawks may not return to their shutdown form in 2018 as they will play without Richard Sherman who they released and they lost Kam Chancellor to a career ending neck injury. The other defenses on this list, however, will return with force in 2018 barring injury, and teams like the Chargers, Rams and Bears may have actually gotten better through free agency and the draft. You don’t want to put too much stock into strength of schedule at this point in the offseason, or until the bullets start flying for real, but if a QB has to run a gauntlet against several of these top defenses, strength of schedule may act as a tie breaker between similarly ranked players. 1- Aaron Rodgers (34 years old) – Between the 2014 and 2016 seasons, Aaron Rodgers played in 48 out of a possible 48 games. In 2013 Rodgers only played in 9 games and in 2017 he played in just 7 games. Rodgers missed one game in both the 2010 and 2011 seasons, and has played in all 16 games in 6 of his 10 full seasons as a starter. That being said, Aaron Rodgers shouldn’t be considered injury prone, but he is 34 years old now and is likely to continue taking beatings from the brutal pass rushes in the NFC North. Although Rodgers is still at the top of his game, he averaged a career worst 6.7 yards per attempt mark in 2015 when he played without Jordy Nelson. This year, the Packers opted to let Nelson go and he signed with the Raiders. It will be interesting to see how Rodgers does without his safety blanket, Jordy, there to bail him out. I am not likely to use a high draft pick on Rodgers and will only consider drafting him if he falls to maybe the 5th round of drafts. Prior to that, there will be too much talent at the other positions remaining on the draft board. 2- Cam Newton (29 years old) – Heading into the 2017 season, the Panthers coaching staff said they were going to pull back on Cam Newton’s running opportunities after his injury riddled 2016 season. Instead, Cam ran the ball 139 times last year which was a career high. When Cam runs, he comes through for fantasy football. Over his career, Cam runs for 39.6 yards per game and has scored a total of 54 rushing touchdowns, which averages out to just under 8 touchdowns a year, that’s an average of 7 points a week from his rushing in addition to his passing work. You should also file away that Cam started slow in 2017 because he didn’t practice much in training camp due to his offseason shoulder surgery and he still finished as the #2 QB in fantasy football. The toughest defenses Cam will face this year are the Eagles and the Saints twice, but the second matchup against the Saints comes in week 17, so that won’t impact Cam’s fantasy production. 3- Russell Wilson (29 years old) – The Seahawks’ offensive line has been deteriorating over the years and as a result, their run game has suffered. In 2017, Wilson threw the ball for a career high 553 times, but that total was only 7 more than his 2016 total, so it appears the trend is for Russell to throw more rather than less. Wilson’s 2017 TD rate was 6.1% which is a little high, but that rate was only the 4th best of his career, which indicates that this level of efficiency is sustainable for Wilson who simply has a nose for throwing TD’s. Although Wilson rushes for similar per game yardage totals as Cam Newton, he simply doesn’t use himself as a goal line back the way Cam does, and his rushing touchdown total reflects that, only running the ball into the endzone 16 times over his first 6 seasons. Wilson is a good bet to repeat as fantasy football’s #1 QB in 2018, but I will not take him earlier than the 5th round. 4- Tom Brady (41 years old) – In his age 40 season, Tom Brady finished the season with 32 TD’s and 4,577 yards passing which was good for the 3rd in QB scoring. Brady’s completion percentage of 66.3% was above his career average of 63.9% and his 5.5% touchdown percentage was on par with his career average. Brady lost Brandin Cooks this offseason but they will get Julian Edelman back off his 2017 torn ACL and they did sign Jordan Matthews who should be a solid possession type receiver with ability in the redzone. Until we see Tom Brady fall off a cliff, we need to continue drafting him as a top flight QB. The Patriots seem to dial up plays that fit Brady’s skill-set instead of having him chuck it deep all the time like the Broncos did when Peyton Manning came crashing down to earth in the 2015 season, so it’s unlikely we ever see a drastic nose dive from Brady. 5- Drew Brees (39 years old) – The Saints went with a more run heavy attack in 2017 and Drew Brees still finished as the #11 fantasy QB. Brees only had 536 attempts last year, which (aside from his days with the Chargers) was his lowest total since he threw the ball 514 times back in 2009, the year Brees, Pierre Thomas and Reggie Bush led the Saints to the Super Bowl. Although the Saints are likely to roll with a run heavy attack again this year, they added Cameron Meredith to the roster in free agency which indicates they are looking to improve their passing game. That being said, Brees should still be drafted as a QB1, because he proved last year that even when he doesn’t sling it a lot, he is still very efficient and will get it done for fantasy. 6- Kirk Cousins (30 years old) – As I mentioned in my NFC North Free Agency article Kirk Cousins is primed to come through as a QB1 with a slew of offensive weapons and a QB friendly offensive coordinator in John DeFilippo. Cousins finished 2017 as the #5 QB in fantasy football and he did so while setting career lows in passing attempts and yards in a season since becoming a full-time starter in 2015. The volume should go up in 2018 and his fantasy production will follow. 7- Matt Ryan (33 years old) – There is no way Matt Ryan was going to repeat the 9.3 yards per attempt and 7.1 TD% he had in 2016 and we saw a steep drop off in 2017. Last year, Ryan threw for almost half (20) the number of touchdowns he had the year before (38) and his TD% was cut almost in half, down to 3.8%. Although Matt Ryan’s statistics came crashing back down to earth, last year was as bad as it gets with him and his numbers are likely to improve a little, as his career TD% is 4.6% and he averages over 25 TD’s per year. Although the Falcons OC Sark isn’t Shanahan, Matt Ryan should be more comfortable with him calling the plays in year two. Keep in mind, Matt Ryan will be throwing the ball to Julio Jones, Mo Sanu, Calvin Ridley and he has two competent pass catching running backs in Devonta Freeman and Tevin Coleman. 8- Matthew Stafford (30 years old) – Stafford enters yet another year with Jim Bob Cooter calling the plays for him and he should come through for you if you decide to wait on drafting a quarterback. Stafford has three solid pass catchers in Golden Tate, Marvin Jones and Kenny Golladay, and a nice complimentary back in Theo Riddick that can catch a lot of balls out of the backfield. I know you can’t read too much into strength of schedule in July, but it looks like Stafford has at least three problematic matchups on the schedule in the Rams and Vikings twice, one of those matchups with the Vikings coming in week 16, the fantasy championship. If you end up rolling with Stafford, you may want to draft a backup QB you can plug in if Stafford starts struggling. Stafford finished as the #7 fantasy QB in 2017 and his current ADP has him going in the middle of the 8th round. 9- Deshaun Watson (23 years old) – Everybody wants to focus on the fact that Deshaun Watson tore it up in his first 6 NFL starts, but he wasn’t likely to sustain the 9.3% TD rate (see Matt Ryan above), and he was on pace to throw over 20 interceptions. Watson will come back down to earth in a big way this year, and I will let somebody else draft him at his current ADP in the middle of the 3rd round as the second QB off the board. I am just not going to go down that road. I am not saying he’s going to be a bust. He will still be extremely productive, but I just don’t see him sustaining his 2017 pace. Also, keep in mind that Watson is coming off an ACL, so we really need to pay attention to how he looks and feels in training camp and the preseason. 10- Marcus Mariota (24 years old) – Marcus Mariota’s touchdown rate was a career low 2.9% in 2017 and not only was that a career low, but it was almost half of his next previous low. That number will surely go up in 2018. Moreover, he will finally have a decent play caller dialing it up for him in Matt LaFleur, who should be able to get guys like Delanie Walker, Dion Lewis, Corey Davis and Rishard Matthews free for some explosive plays. Moreover, the Titans offensive line is one of the best in the league with Taylor Lewan, Quinton Spain, Ben Jones, Josh Kline and Jack Conklin. 11- Derek Carr (27 years old) – Derek Carr had a down year in 2017 and I am attributing that to, mainly, Amari Cooper’s drop issues. In 2017 Cooper only had a 50% catch rate and dropped just over 10% of catchable passes thrown his way which was 5th worst in the league. Carr’s 2017 numbers, as a whole, weren’t too far away from his career averages, so I am not jumping off the ship entirely. In theory, if Cooper had been more reliable last year, it would have extended drives for the entire Raiders offense and created more opportunities for Carr. Jon Gruden should be able to get Carr back on track, and with his current ADP in the 10th round, there’s little to no risk associated with drafting him. 12- Carson Wentz (25 years old) – Carson Wentz tore his ACL in week 13 of the 2017 regular season and to that point, he had 3,296 yards and 33 TD’s, completing 60.2% of his throws. To put it mildly, Wentz was on an absolute tear and was a top fantasy QB at the time he went down. In my view, you need to exercise caution when drafting Wentz this year, not only because of the knee injury, but also because he threw touchdowns on 7.5% of his passes last year which simply isn’t sustainable. In the 2017 draft season, everybody was predicting that Matt Ryan would come back down to earth after his magical 2016 season and he did. Not only did Matt Ryan come back down to earth, he came crashing down. Matt Ryan averages a TD on 4.6% of his passes over his career, and in 2016, he threw for a TD on 7.1% of his passes, a rate which simply isn’t sustainable. The point I am trying to make is, even if you take Wentz’s ACL out of the equation, I am not saying Wentz is going to be bad, but he isn’t likely to repeat his magical 2017 season, making him unworthy of any early draft capital, especially at his 4th round ADP. 13- Jared Goff (23 years old) – Sean McVay can dial up plays with the best of them, that’s for sure, and we saw Jared Goff reap the benefits of McVay’s abilities in 2017. Goff enjoyed a breakout campaign last year, but on a week to week basis, you could predict with near certainty when Goff would come through or fail based on the matchup. If the matchup was easy, then Goff was certainly going to blow up. If the matchup appeared difficult, Goff was not going to come through and you couldn’t start him. If I miss out on drafting a top QB this year, then I will draft Goff in the later rounds and pair him with somebody else and stream based on the matchup, with Goff being the 1A to the other QB which will be the 1B. 14- Philip Rivers (36 years old) – In 2017 Philip Rivers was the number 8 scoring quarterback in fantasy football. Rivers put up those numbers with a subpar offensive line and heading into 2018, the Chargers will get Forrest Lamp, their 2017 second round pick back from injury and they signed Mike Pouncey in free agency. If Keenan Allen is able to stay healthy for a second straight year, Rivers should be able to make good use of that connection, but the Chargers did lose Hunter Henry to a torn ACL during the offseason program which is problematic. I want to rank Rivers in the top 8 because his 2017 stats were in line with his careers averages, but the fact is he lost Hunter Henry and you simply don’t know how many games Keenan Allen will be healthy for. Hopefully Mike Williams will be able to come through as the redzone target they drafted him to be. 15- Jimmy Garoppolo (26 years old) – The hype train for Jimmy G needs to come back down to earth. Jimmy G went 5-0 as a starter over his first 5 starts for the 49ers last year, but he only threw for 7 touchdowns in that span. I understand the hype around him because we don’t really know his ceiling and he’s playing in a Kyle Shanahan offense, but the body of work simply isn’t there and he doesn’t have the best cast of weapons in the Bay, in Pierre Garcon, George Kittle, Jerrick McKinnon and Marquise Goodwin. Jimmy G has been going in the middle of the 6th round which is a little rich for me. I will only draft him if he slips to maybe the 10th round and if I do draft him as my starter, I am going to draft another guy shortly thereafter to protect myself. 16- Dak Prescott (25 years old) – Last year Dak Prescott was the 10th highest scoring quarterback in fantasy football and he did so with some of the most inconsistent game to game performances we have seen in a while. After Zeke Elliott was suspended, he had a tough stretch which started in week 8 against the Redskins and it lasted until week 13. In that span, Dak only threw for over 200 yards once, and he failed to throw a touchdown pass in 4 of 6 games, which is terrible. With Zeke Elliott back in 2018, Dak should throw in to some favorable coverages which will help him tremendously. Most people will likely be down on Dak after his slump last year, so he will slip down draft boards. His current ADP is in the 9th round which is not very rich. 17- Andrew Luck (29 years old) – Andrew Luck has only been fantasy relevant twice in his six-year career. In 2012 and 2013 Luck only had 23 touchdown passes in each year, respectively. In 2014, Luck had his best statistical season, tossing the rock 616 times for 4,761 yards and 40 TD’s. In 2015, Luck only started 7 games, finished with 55.3% completions but he was still on pace for over 30 TD’s and over 3,200 yards. In 2016, the last time Luck actually played in a game, Luck rebounded and completed over 63% of his passes and had 31 touchdowns, but he missed the entire 2017 season due to lingering shoulder issues. Word on the street this offseason is that Luck needed to change his footwork in order to put less stress on his shoulder during his throwing motion. If Luck indeed changed up his footwork to put less stress on his shoulder while throwing, you really need to wonder if he’s going to be the same player without the same mechanics. You also need to wonder if Luck really can change his mechanics when he’s not in shorts and the bullets start flying for real, and if he can’t change, then you need to question how long his shoulder can hold up. If Luck stays healthy he’s virtually a lock for over 4,000 yards and over 30 touchdown passes, but you cannot take him as your QB1 unless you follow the pick up with another QB almost immediately. Frank Reich will make sure Luck is set up for success which is a positive. 18- Andy Dalton (30 years old) – The addition of Cordy Glenn and Billy Price to the Bengals roster will make Andy Dalton better in 2018, period. Dalton struggled in 2017, but much of the struggle came from not having any time to set up and throw. Dalton has enough talent around him to be a top flight fantasy QB, he just needs the offensive line to protect him. If Tyler Eifert’s health progresses into the summer, then Dalton will rise up this list. Moreover, Joe Mixon and Gio Bernard are both proven dual threat backs so defenses won’t be tipped based on which back is in the game the way they were when Jeremy Hill was still logging snaps. As long as AJ Green is in his prime and the offensive line can keep the Red Rifle upright, he will be worth week to week consideration for your starting lineup. 19- Eli Manning (37 years old) – The Giants drafted Will Hernandez in the 2nd round and added Nate Solder in free agency which really bolstered their offensive line. For the first time in years, opposing teams will need to actually respect the Giants ability to run the ball after adding Saquon Barkley in the draft, and a byproduct of that defenses will pay less attention to guys like Evan Engram, Sterling Sheperd and Odell Beckham Jr. Moreover, if Pat Shurmur can make Case Keenum look good, he will sure be able to make a 2x Super Bowl champion look good. 20- Big Ben Roethlisberger (36 years old) – Randy Fichtner will be calling the plays for Big Ben this year, something he hasn’t done since he was a college coach many years ago. Although it’s yet to be seen what Ben will do without Todd Haley dialing it up for him, Ben is still worth QB1 consideration because of the talent around him in Antonio Brown, JuJu Smith Schuster and Le’Veon Bell, although his home and away splits are troubling. Personally, given Ben’s advanced age and injury history, I will pass on him, but at the end of the day he’s a solid fantasy option. “Big Rigg” isn’t down with certain guys this year, and here’s why. Tyrod Taylor may be the starter heading into the season, but Baker Mayfield is waiting in the wings. Tyrod will be viable for fantasy while he’s starting, but you need to question how long he will be starting this year. Patrick Mahomes is going to be a more athletic version of either Brett Favre or Kyle Boller. The jury is out because although the talent is there, he’s extremely raw and at this point, you cannot rely on him as your QB1. If you draft Mahomes he should be drafted as a QB2 and if he blows up early and outperforms your other QB you drafted, then you can start playing him. If Mahomes flops, then you can cut him after a few weeks and you won’t be upset with yourself because you likely only used a late pick on him. There are too many other talented, proven QB’s out there and you simply don’t need to take the risk in drafting Mahomes as your starter. Be careful, because if Mahomes has a few decent drives this preseason he will surely shoot up draft boards. I love Jameis Winston, but he’s sitting out the first three games of the season so he should go undrafted. If I need help at the position, I may snag him off waivers before week 3 starts, but the guy needs to keep his nose clean and get focused. Until he does that, I will just stay away because there’s enough other talent out there. Alex Smith is coming off a solid year but his 2017 season was by far an outlier, and I won’t chase the hope of a repeat. Josh McCown is a solid NFL starter, but he’s never played 16 games in a season and Sam Darnold will be playing sooner rather than later. There are other guys who may be worth consideration on a week to week basis, but for the most part, the guys ranked 1-20 are the QB’s worth drafting and rolling with in 2018. Follow me on Twitter @Coachriggall if you care about winning in fantasy football. 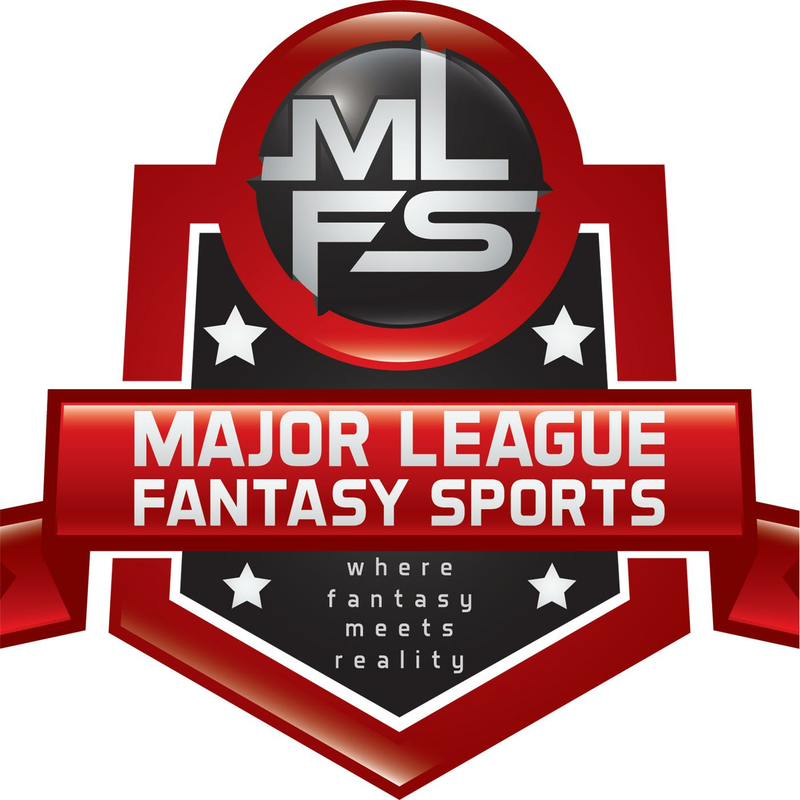 Major League Fantasy Baseball Radio Show: Join host Brian Roach, Jr, and Cole Freel live on Sunday July 9th, 2018 from 8-9:30pm EST for episode #128 of Major League Fantasy Baseball Radio. We are a live broadcast that will take callers at 323-870-4395. Press 1 to speak with the host. We will discss the latest information in the world of fantasy baseball.